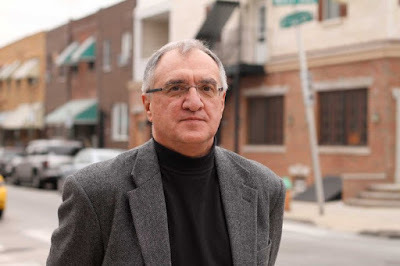 Veteran organized crime reporter and author George Anastasia (seen in the below photo), who wrote a book on gangster movies, offers a piece at jerseymanmagazine.com on two recent true crime books that might make good crime films. 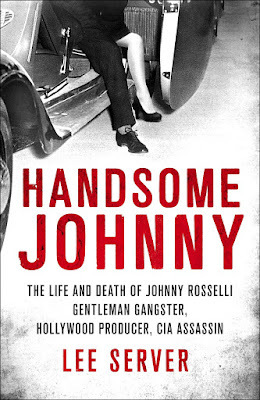 I agree that one of the books, Lee Server’s Handsome Johnny, The Life and Death of Johnny Rosselli: Gentleman Gangster, Hollywood Producer, CIA Assassin, which I reviewed for the Washington Times, would make an interesting film or TV miniseries. 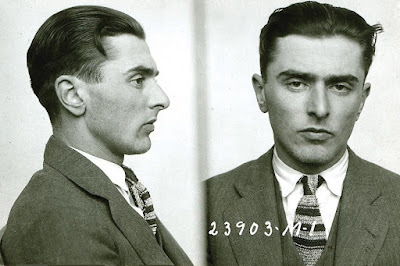 (A young Johnny Rosselli appears in the above mugshot). I’m not convinced that the second book, Gianni Russo’s Hollywood Godfather: My life in Movies and the Mob, can even be called true crime, as the stories written by the sometimes actor who played Carlo Rizzi in The Godfather are a bit too much to be believed. He should have called the book fiction. In George Anastasia’s piece he writes about his gangster movie book and the two crime books. 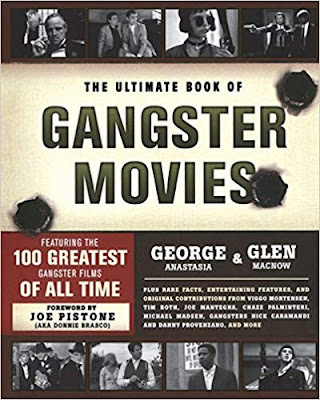 The book went on to list what we considered the 100 best mob movies of all time and included an essay on each film along with lots of trivia and other stories related to the real life and reel life of the gangster. Two new books, one published late last year and one that was scheduled to be released last month, have refocused attention on the mob and the movies. The first, and better of the two, is HANDSOME JOHNNY, The Life and Death of Johnny Rosselli: Gentleman Gangster, Hollywood Producer, CIA Assassin. Written by Lee Server, the book is a fascinating account of the life and times of one of the more significant—yet least publicized—gangsters in American history. … It’s American history from the underworld’s perspective and Server has done a great job researching and writing a story that revolves around the dapper, charismatic and soft-spoken wiseguy who could have stepped off one of the movie sets in which he had a hidden interest. Equally entertaining is HOLLYWOOD GODFATHER, My Life in the Movies and the Mob written by Gianni Russo with Patrick Picciarelli. Russo played Don Corleone’s son-in-law Carlo Rizzi in the classic mob movie and frankly writes that he has used that connection to build a series of careers in both the entertainment industry and the underworld. His memoir is both incredible and fantastic—incredible as in hard-to-believe and fantastic as in are you making this stuff up? Russo emerges as an underworld Forrest Gump, a character who happened to be on hand for virtually every major mob-linked historic event in the 20th century.